Brass alloy is created by mixing zinc and copper together, creating an eye catching, radiant aesthetic well suited to statement making applications. 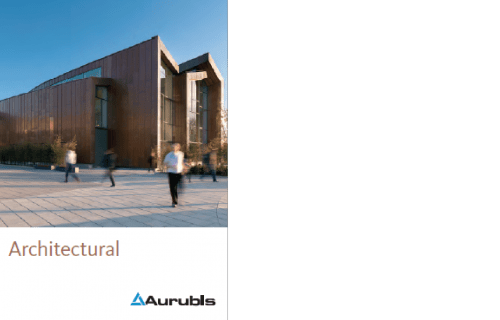 Not quite as warm as copper, but not as cold as traditional grey zinc, brass’ consistently brings charm, class and a very sophisticated edge to interior and exterior cladding applications. 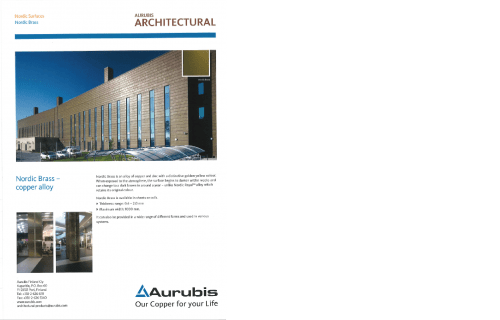 We source Aurubis Brass from Craft Metals. 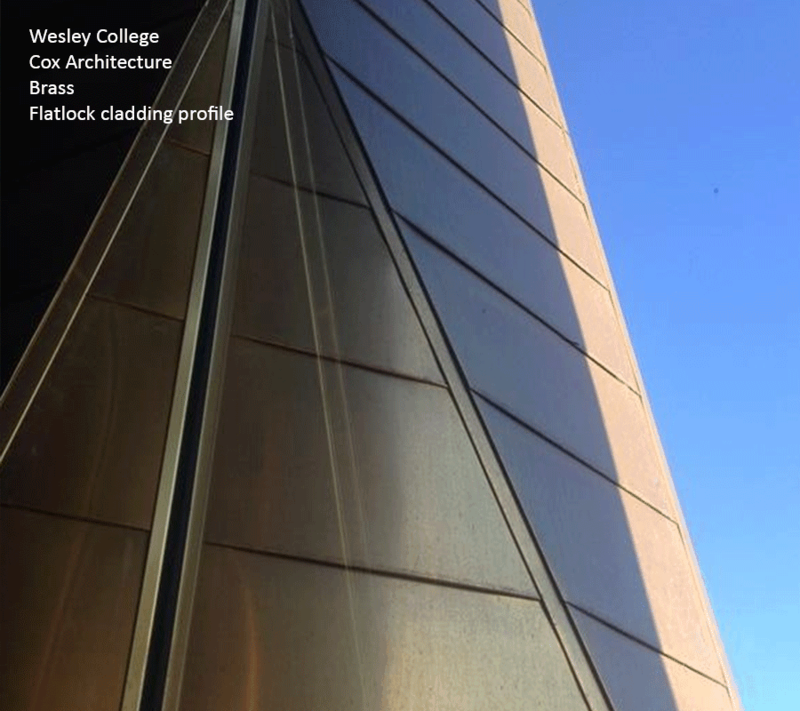 Brass is easily formed into various cladding profiles. The material is malleable and well suited to decorative sheet metal work. 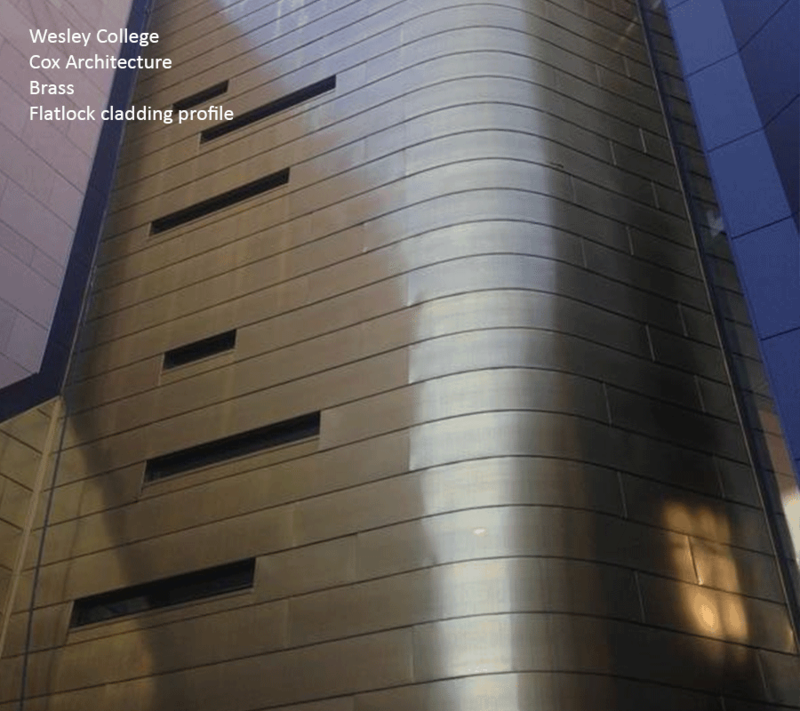 Considered one of our ‘luxury metals’, brass is often specified for feature cladding, custom architectural accents or as an interior design focal point. The combination of copper and zinc makes brass a durable roof and wall cladding material. Similar to copper, brass will oxidise over time, creating a golden brown patina effect on its surface. (Level and colour of patina can not be predicted and are the result of atmospheric conditions).